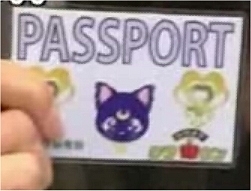 This cell phone actually transforms Minako into Sailor V for the first time. 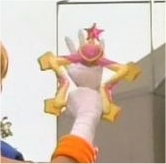 It has the ability to act as a communicator with the other senshi, act as a plain phone, and also to act as a disguise device. 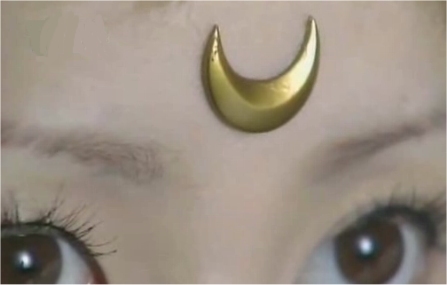 This mark is on Sailor V's forehead as well as Sailor Venus's until it is revealed that Usagi is the moon princess. 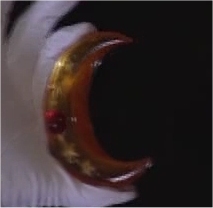 It is mostly a decoy item so that enemies (and even the senshi for a time) think that Sailor Venus is the princess they are all searching for. 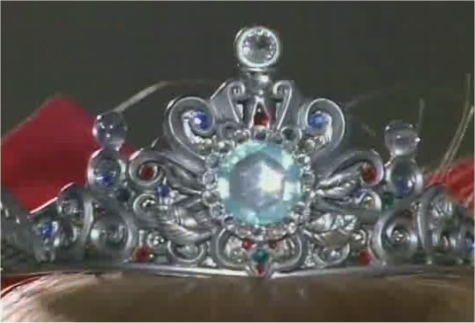 When Usagi awakens as Princess Serenity in Act 25, it is replaced with a tiara. This item is extremely useful. It allows Minako to damage the enemy, cause distraction, or cut through bindings. 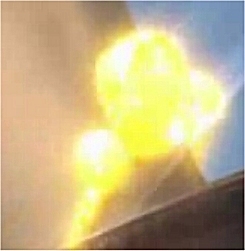 She can summon this item from thin-air if necessary. 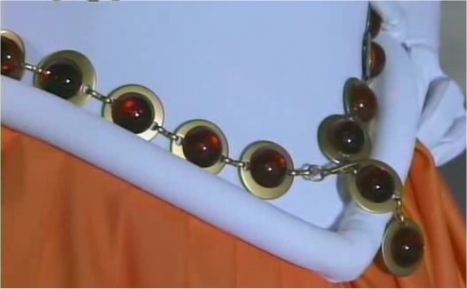 This item can act to block attacks (or weapons) and also aids in the attack "Venus Love Me Chain". When it's not in use, it hangs at her waist like a belt. 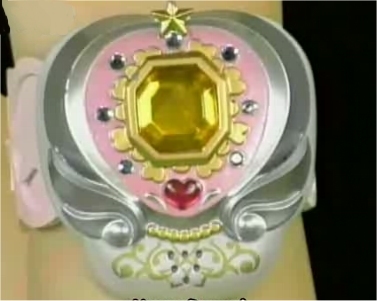 These items are really only one- the silver bracelet allows for the transformation to happen, but it turns into the Jewelry Star Bracelet when Venus is transforming. The tambourine is a weapon in which energy can be conducted through. 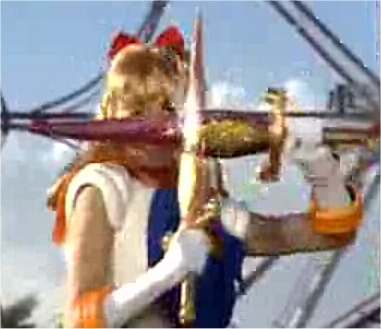 It helps to amplify her power, and in the special act Sailor Venus transforms it, along with Sailor Mars's Star Tambourine, into a pair of swords. Minako doesn't go to Crown Karaoke very often, because for such a long time she fought alone. Still, she does use this item to enter the meeting room in Act 44.